The East Africa Region is the fastest growing region in Sub-Sahara Africa. The region has seen exponential growth in inbound foreign direct investment. Kenya’s profile as the gateway for investments in the region continues to shine with large investments and big-ticket deals (including M&A transactions) taking place in agriculture, construction, education, energy, financial (banking and insurance), ICT, industrial, health, retail, tourism and transport sectors of the economy. There is huge growth potential for the Region in these sectors in addition to the nascent oil and gas sector which has attracted huge capital inflows. Our Practice has substantial expertise in Corporate, Mergers and Acquisition transactions. Retained by both investors and investees, we have increasingly advised a number of entities (both local, regional and foreign) seeking investment opportunities in the East Africa Region. We are on the ground to offer local counsel and have long-standing arrangements with regional experts on transactions having cross-border aspects. Our Firm’s expertise has been tapped in planning, designing and structuring these transactions, to not only achieve the client’s commercial and strategic goals but to also achieve optimal tax outcome within legal parameters. We are regularly consulted by foreign law firms for advisory services on local laws and regulations relating to establishment, ownership and operation of foreign businesses in the East Africa Region and to handle transactional work involving legal due diligence on target entities. Our clients have relied on our expertise to plan, structure and execute corporate transactions in a tax-efficient manner thus reducing risks associated with these transactions. • Capital Allowance such as Investment deduction, Industrial building allowance, wear and tear allowance, farm works allowance etc. 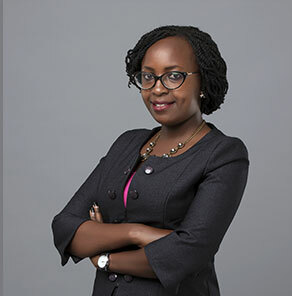 • Corporate Restructuring: Providing counsel to a large micro-finance institution in its restructuring and transformational drive aimed at conversion from a non-deposit-taking to a deposit-taking micro-finance institution under the regulation of Central Bank of Kenya. The mandate involved drafting of constitutive, share-subscription, capital-raising, debt-assignment and transfer of business documentation and instruments between non-operating holding company and a newly-created operating entity. We also advised on the most efficient shareholding structures to adopt in view of thin-capitalisation rules under the Income Tax Act. • Corporate Acquisition & Competition: Advising owners in a share sale transaction involving 100% disposal of shares in a trading company, a deal valued at US$4,000,000.00. The mandate involved preparation and review of a wide range of documentation including Non-Disclosure Agreement, Share Purchase Agreement, Shareholder and Board Resolutions, Amendments to the Constitutional Documents, Waivers, Completion Check Lists as well as dealing with merge notifications to the Competition Authority of Kenya and obtaining approvals. The Firm advised on suitable tax structures to achieve maximum value on distribution of dividends. • Due Diligence: Providing front-to-end transactional advisory to investors in an acquisition deal of a trading entity valued at US$5,000,000/=. The Firm undertook extensive legal due diligence to ascertain compliance of the target entity with contractual, corporate, legal and tax obligations arising under various contract, legislation and regulations. 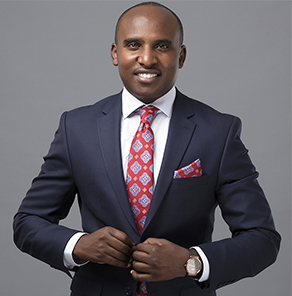 We negotiated and drafted share purchase documentation including tax warranties and indemnities clauses and dealt with merger notifications and approvals at the Competition Authority of Kenya resulting in successful closure of the transaction. • Tax Advisory: We offer on on-going basis legal and tax advisory (both transactional and non-transactional) to multiple entities including a large China-headquartered multi-national corporation, on taxation aspects in Kenya with respect to sale and leasing of ICT equipment and products such as transfer pricing, withholding tax on distribution of dividends, amongst others.